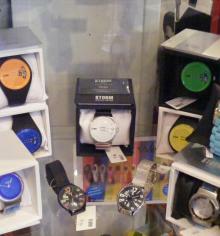 Storm are a British brand from whom we supply watches. Their watches use highly original designs using both casual and contemporary styles. We have both Men's watches in stock and Women's Watches including stainless steel watches, titanium watches, water resistant watches, scratch resistant watches and lots more!